Care Net is a Christian ministry that serves more than 1,100 affiliated pregnancy centers across the United States and Canada. It’s not just pro-life, but pro-abundant life. In 1975, Dr. Harold O.J. Brown founded Care Net, originally known as the Christian Action Council. The organization was fortunate to have the support and influence of former U.S. Surgeon General Dr. C. Everett Koop, Christian scholar Dr. Francis Schaeffer, and Evangelist Billy Graham. 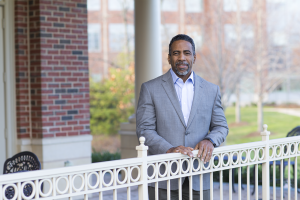 Roland Warren, Care Net’s president and CEO, is passionate about the ministry’s strategy, which includes more than saving babies. It seeks to bring couples to Christ and disciple them so the whole family experiences abundant life. Warren elaborated further: “If we consider it good work to encourage a woman or offer compassion to a woman facing an unplanned pregnancy, all good work should ultimately lead to discipleship for a Christian.” While many groups focus on simply meeting the needs of the woman faced with the unplanned pregnancy, Care Net’s mission, as aligned with The Great Commission, is much broader. Warren stated, “you can’t do discipleship without meeting needs, but you can meet needs without doing discipleship.” Recognizing that there are multiple lives at stake when it comes to pregnancy decisions, Warren’s leadership over Care Net’s clients is not simply a “transactional” approach of care regarding a pregnancy decision but rather a holistically “transformational” approach over the lives and hearts of the parents involved as well. Recognizing that there are multiple lives at stake when it comes to pregnancy decisions, Care Net emphasizes a holistic, transformational change in the lives and hearts of the parents. Warren pointed out that there is a great misunderstanding about what must be done, even within our own churches. The statistics back up his claims. According to Care Net’s website, 54% of women who have abortions identify themselves as Christians, and 40% were attending church at least once per month during the time of their first abortion. These numbers show that our churches need to equip believers better.Among its vast educational and support offerings, Care Net has implemented a new small group program called Making Life Disciples that’s designed to help churches become engaged in providing practical ministry on the life issue. The program is an easy-to-implement, turn-key curriculum for church leaders to equip, prepare, and respond to the call to disciple women and men dealing with pregnancy decisions. The program is now currently in 278 churches with a goal of 1,000 churches in North America engaged by 2020. 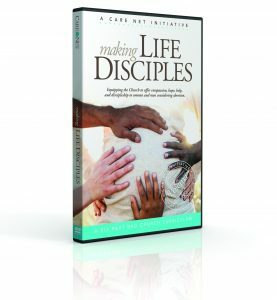 Making Life Disciples is a complete, easy-to-use, small group curriculum that equips congregations to disciple those facing pregnancy decisions. Care Net’s work extends beyond churches to local pregnancy centers to help equip them with the tools, training, and resources they need to minister effectively to those considering abortion. It also provides the Pregnancy Decision Line, a national hotline that offers immediate information and coaching to men or women regarding their decisions. Care Net’s website features a wide range of free resources, including search tools, blogs, educational videos, eBooks, and courses, as well as other church and speaker resources accessible to anyone who wants to simply become more equipped. It has been effective: Care Net and its affiliated network has saved more than 600,000 lives since 2008 and has provided over $112 million in free services in just the last two years alone. 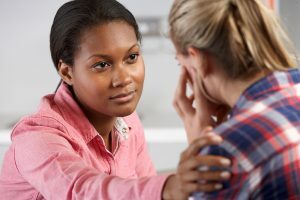 Care Net and its affiliates are so dedicated to providing life-affirming care that Mosaic Virginia, a Care Net affiliate, even provides free post-abortion counseling to help women recover from the devasting impact of a decision to abort. Because Mosaic neither performs nor provides referrals for abortion, clients are surprised that, even if they do have an abortion, they’re welcome to come back and find love, support, and the resources they need for recovery at absolutely no cost to them. Pro-abortion organizations such as Planned Parenthood, however, provide “little to no support to women who choose life,” according to Care Net. Its data shows that Planned Parenthood provided 323,999 abortions in 2015 but provided “adoption support” only 2,024 times. Regardless of a woman’s ultimate decision, Care Net and its affiliates remain committed to healthy marriages, building strong families, sharing the gospel, and building up men in their roles as fathers. For them, success means that a child is “raised in a loving Christ-centered family, ideally with a mom and dad who are married.” This transformational work reduces the likelihood that women and men will have to return to the center with another unplanned pregnancy. To highlight the importance of Care Net’s mission, Warren emphasized that our compassion and mission towards truth must be extended to anyone facing an unplanned pregnancy. Consider the statistic that 86% of women who have an abortion are unmarried, and that 82% of women who aborted would have chosen life if just one person had encouraged them. The unborn child has a much better chance of life if the parents perceive loving support around them and establish a secure relationship together with Jesus Christ as the foundation. Mosaic Virginia, a local affiliate of Care Net, provides all of its services for free. Anyone of any denomination, background, or age may receive confidential counseling, pregnancy testing, testing for STI (sexually transmitted infection), an ultrasound, education, resource assistance, and even post-abortion recovery. Mosaic puts the gospel in action by offering loving support without judgment during an unplanned pregnancy. Mosaic aligns with Care Net’s mission to support and disciple the family in order to save the child. In one such instance, a young mother and father came to the team at Mosaic seeking an abortion. While they were already the parents of two young girls, their finances and other life circumstances prevented them from seeing a way to start over with another baby. While Mosaic doesn’t perform or refer for abortions, the couple was welcomed at Mosaic with open arms, treated like family, and counseled with love and understanding. During the one-on-one counseling with a male mentor, the young man told the story of how he grew up without a father and often wondered what it would be like to have a father. He explained that as a boy, he had heard that his father was working aboard a ship, and he would often sit on shore and wait for his father to arrive on the coast for him. Sadly, his father never came. Mosaic’s counselor heard this man’s brokenness and reassured him that he was already a good father to his other two daughters and that he could be to the new baby as well. The counselor helped him see that he could also give this new child the chance to experience life with a father. With renewed purpose in his heart, the young man boldly got up, walked down the hall, and into the room with the young mother to declare that they would have the baby. The young mom cried tears of joy and relief knowing that he was committed to supporting her. Their beautiful, healthy baby girl is now thriving in the loving home of these two committed parents who now publicly share their testimony in support of Mosaic Virginia. For more information about Care Net, visit www.care-net.org or Mosaic Virginia, visit www.mosaic-virginia.org. More discipleship resources are available at CareSource. 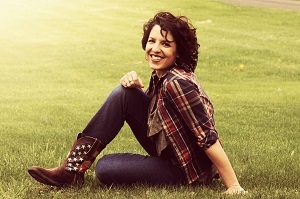 Joanna Sanders is a graduate of Villanova University and Moody Theological Seminary. She’s also the founder and head writer of Colossians46.com, which provides biblical content support, writing, and editing. Most importantly, she is wife to Geoff and mom to three godly men-in-training.